Paul Budnitz, the founder of Kidrobot, and legendary toy artist Huck Gee are back with their new company SUPERPLASTIC, which launches on May 15th. 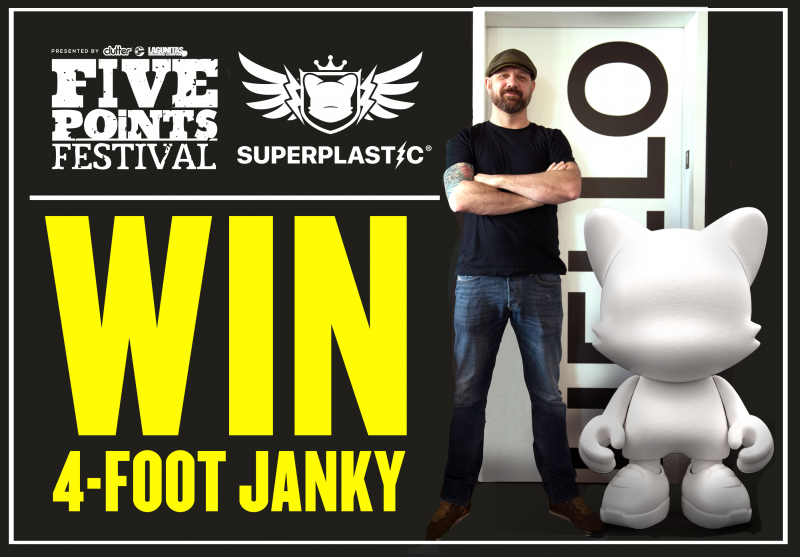 To celebrate, we’re giving away a MASSIVE 4-foot JANKY, designed by Gee and Budnitz. 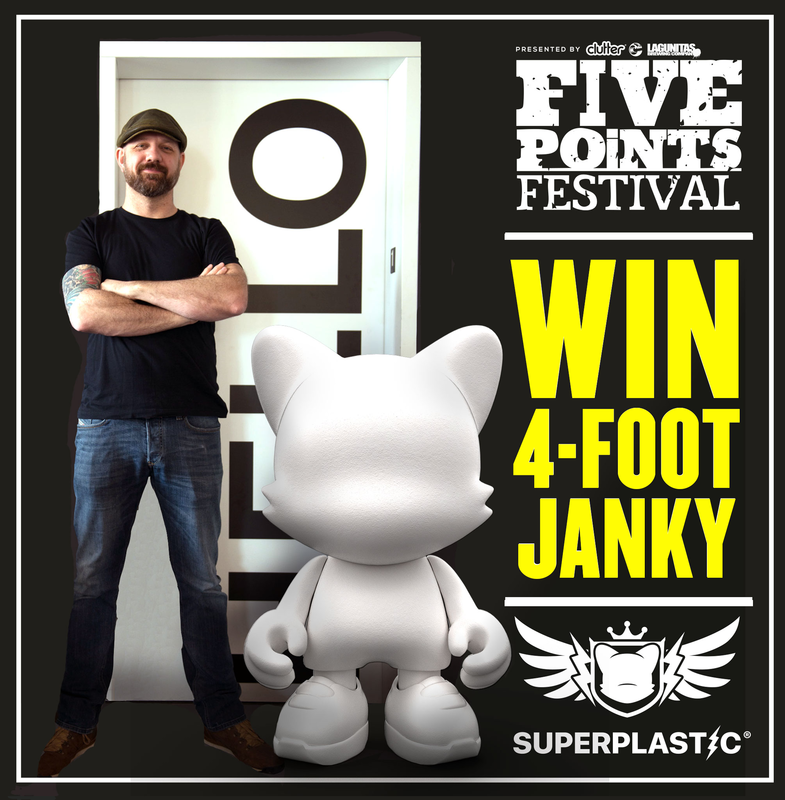 • Paul & Huck will announce the winner during their talk at the upcoming Five Points Festival in June!